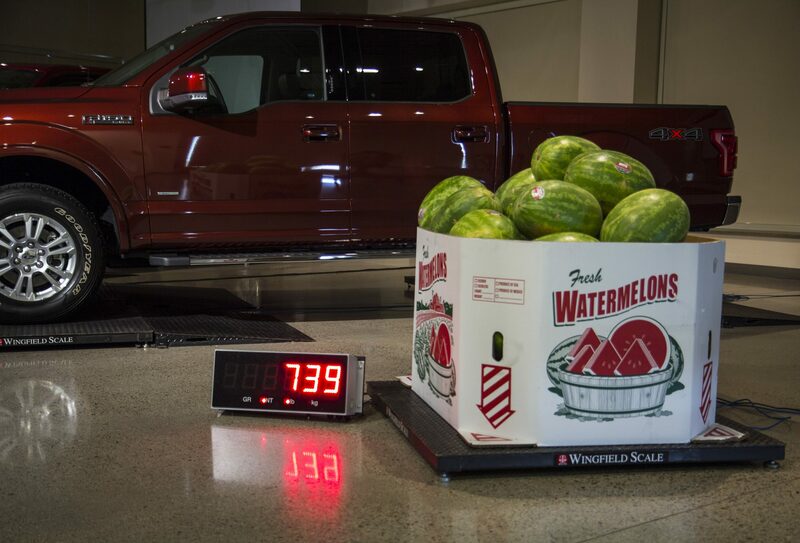 We may not know with certainty what the fuel economy for the 2015 F-150 will be, but we can tell you how much power it’s going to generate. Ford has released information on both the 2015 F-150 2.7-liter EcoBoost and 3.5-liter V6 engines, and the numbers are quite impressive. One of those impressive numbers: just how much the aluminum-bodied pickup has slimmed down from its 2014 iteration. 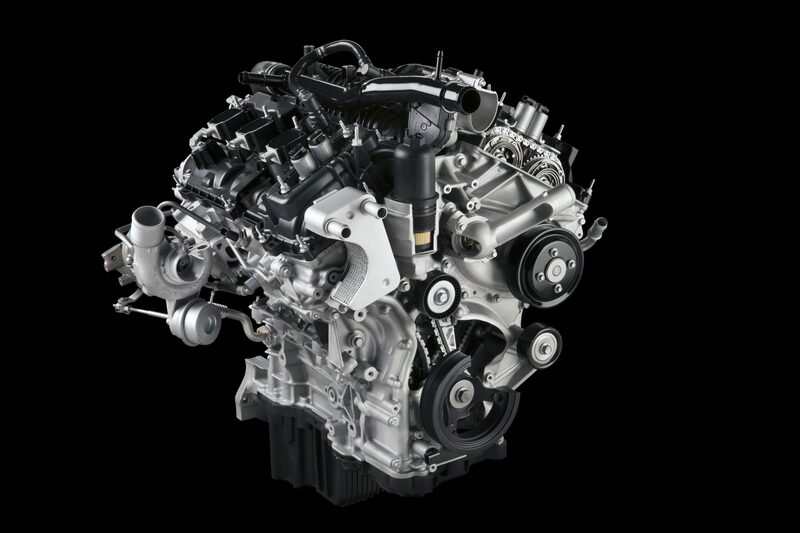 The 2.7-liter EcoBoost V6 will generate an impressive 325 horsepower and 375 lb-ft of torque, and the 4×2 has a maximum payload rating of 2,250 pounds and maximum tow rating of 8,500 pounds. The F-150 2.7-liter EcoBoost V6 will make standard Auto Start-Stop technology, which will help reduce fuel consumption and emissions by automatically shutting off the engine when the vehicle is idling and quickly starting it when the accelerator is depressed. Ford notes that the technology will be disabled with the F-150 is being used for towing or in four-wheel-drive mode. 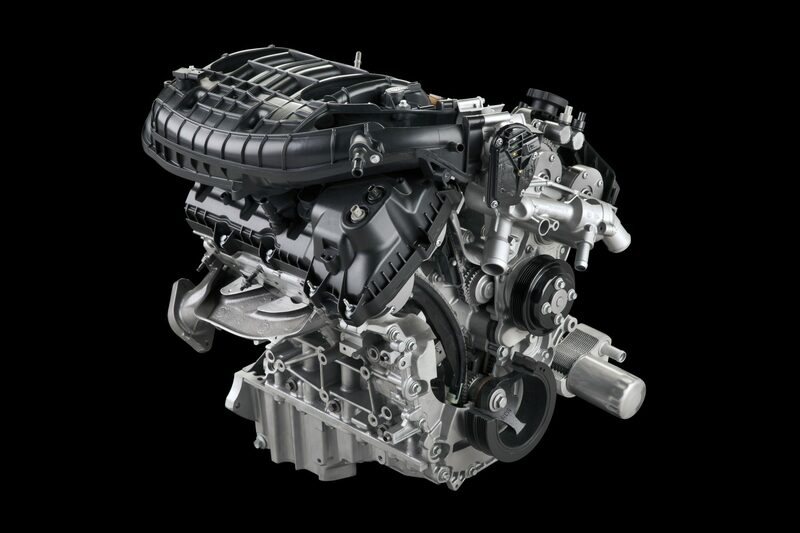 The 2.7-liter helps the 2015 F-150 save weight by utilizing a compacted graphite iron cylinder block similar to that used in the 6.7-liter Power Stroke® turbo diesel V8, a first for Ford gasoline engines. The 3.5-liter V6 boasts a five percent improvement in power-to-weight ratio over the 2014 F-150 equipped with the 3.7-liter V6. It will generate 283 horsepower and 255 lb-ft of torque with a max payload of 1,910 lbs. and a max tow rating of 7,600 lbs. In addition to the 2.7-liter EcoBoost V6 and the 3.5-liter V6 with Ti-VCT, the 2015 F-150 will return the 3.5-liter EcoBoost and the 5.0-liter V8 with Ti-VCT, rounding out what is inarguably the most versatile pickup on the market.